This is the dvd and blu-ray version of the 50e anniversary episode “The Day Of The Doctor”. Of course I can not tell you what happens but if you didn’t see it then what are you waiting for. Now you can own the special 50e anniversary Doctor Who episode that brings back memories from the past and shows you a couple of Doctors and companions. This Doctor Who episode is 75 minutes long and that time flies by. 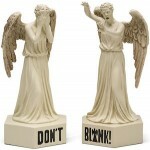 Even if you seen it this is an episode to keep and it makes the perfect gift to for any person that likes the Doctor. 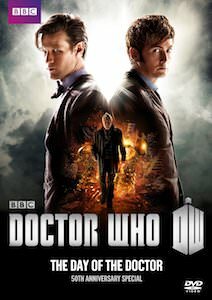 Come and check out the Doctor Who The Day Of The Doctor DVD And Blu-ray.